I was too lazy to head out for dinner so rif and I decided to order in pizza. 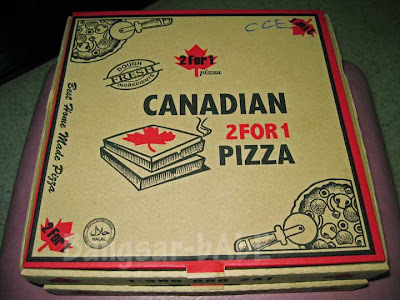 We usually order Dominos but decided to try Canadian 2For1 Pizza this time. 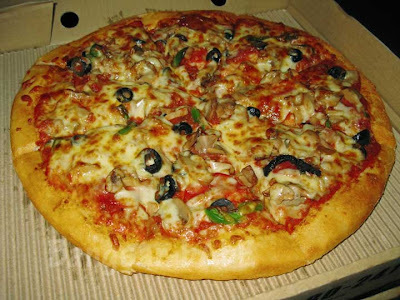 A 12” pizza cost RM36.90 and it’s 2 for 1 deal. We got the Canadian Classic and Beef Pepperoni. They normally take between 30-45 minutes to deliver the pizza – we got ours in 35 minutes. Paid RM41.85 in total, including delivery charges and 5% tax. The Canadian Pizza was boring. Made with smoked turkey bacon, beef pepperoni, mushrooms, fresh tomatoes and onions, the sauce was quite bland. And I could only tasted beef pepperoni, not turkey bacon. The Beef Pepperoni fared slightly better. I thought the cheese topping wasn’t as stringy as the ones from Dominos or Pizza Hut. While the bread dough is soft and light, it was slightly on the thick side. 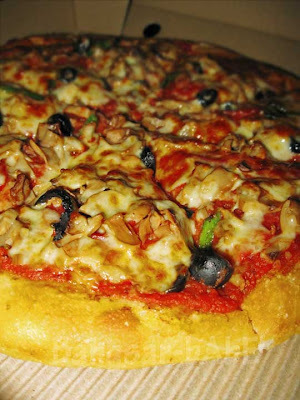 All in, I found Canadian Pizza a disappointment – Dominos and Pizza Hut tastes better. But since it’s convenient as relatively affordable, I shall not bother so much. Meat Lovers flavour is the best flavour. Mexican Fiesta comes in a distant second. But Canadian Pizza’s quality has taken a drop since they first opened. 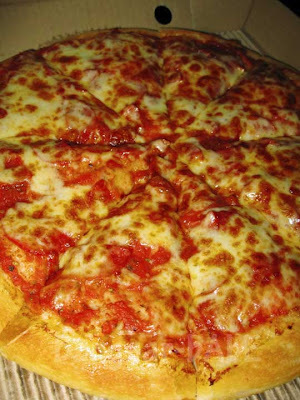 You should try Papa John’s Pizza to face off against Domino’s and Pizza Hut. But they are only in Berjaya Times Square and Cheras Leisure Mall at the moment though. 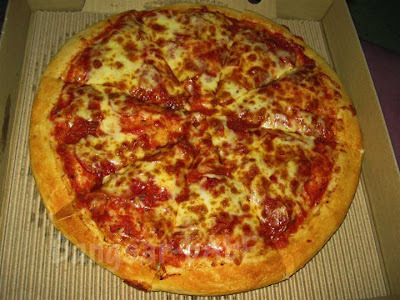 Yes, I am planning to try Papa John’s Pizza as I heard it’s quite good!